Egyptian President Abdel Fattah El-Sisi told Italy's visiting deputy prime minister, Luigi Di Maioon, Wednesday that there is a "strong will" to identify and bring to justice those responsible for the killing of an Italian student, the presidential spokesman said. The 28-year-old Giulio Regeni, who was doing postgraduate research into Egyptian labour movements, was found murdered in February 2016. He disappeared on 25 January 2016, the fifth anniversary of the 2011 revolution, and was found 10 days later in a ditch on the outskirts of Cairo. Egyptian investigators have said that his body bore signs of torture. During the meeting in Cairo, El-Sisi expressed confidence that "investigation into the killing of Giulio Regeni's would reach final results," presidential spokesman Bassam Radi said in a statement. 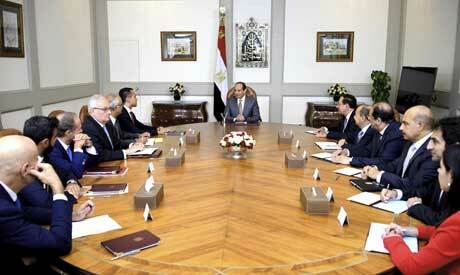 El-Sisi added that Egypt's prosecutors have continued to work together with Italian counterparts to resolve the matter. Egyptian and Italian investigators have been working together to recover surveillance recordings from Cairo's underground metro system as part of the probe. In June, prosecutors from the two countries said that footage recovered from Cairo metro CCTV recordings showed no "videos or images" of Regeni, and that they have found a number "gaps" in the recovered footage. Both sides agreed that advanced technical tests should be carried out to determine why these gaps exist. During Wednesday's talks, which also involved Egypt's intelligence chief and trade and petroleum ministers, El-Sisi and the Italian official discussed Egyptian-Italian cooperation and boosting trade and economic ties, mainly in the energy sector.